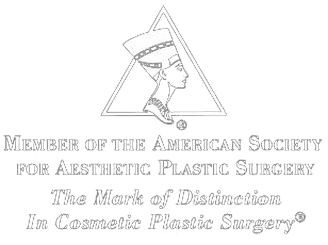 Dr. Samuels' lifelong passion for plastic surgery began in 1982, when she graduated with distinction from the University of Kentucky with a B.S. in Pharmacy. In 1987, she earned her medical degree from UK, again graduating with distinction. Dr. Samuels' post-graduate study included a five-year residency in General Surgery at the University of Texas Southwestern/Parkland Memorial Hospital in Dallas. She spent over two years completing her Plastic and Reconstructive Surgery residence there, and at Baylor Medical Center in Dallas - one of the nation's premier plastic surgery centers of excellence. While at UTSW and Baylor, Dr. Samuels trained with key leaders in the field of cosmetic and reconstructive surgery, earning widespread recognition for her academic excellence and clinical expertise. Her articles on cosmetic, facial and breast surgery appeared in leading national medical journals. She also has been teaching cosmetic surgical techniques to plastic surgery residents at the University of Louisville since 1995. Dr. Samuels lives in Louisville with her husband, Tom, and twin daughters, Lexie and Kaitlyn.